Centuries before Captain James Cook set foot in Hawaii in 1778, Polynesian voyagers arrived in the Islands on double-hulled voyaging canoes. Just prior to officially uniting the Hawaiian Islands as a single kingdom, King Kamehameha named Lahaina as the capital of Hawaii in 1802. Lahaina’s rich history is deeply rooted in the 50 years it served as the epicenter of the Hawaiian government. By the early 1800’s Protestant missionaries from Europe began to settle in Lahaina. These settlers opened up the floodgates for other European expeditions. This time of enormous cultural change lingers today in the colonial architecture of wooden buildings that line Front Street with proud dates of origin. 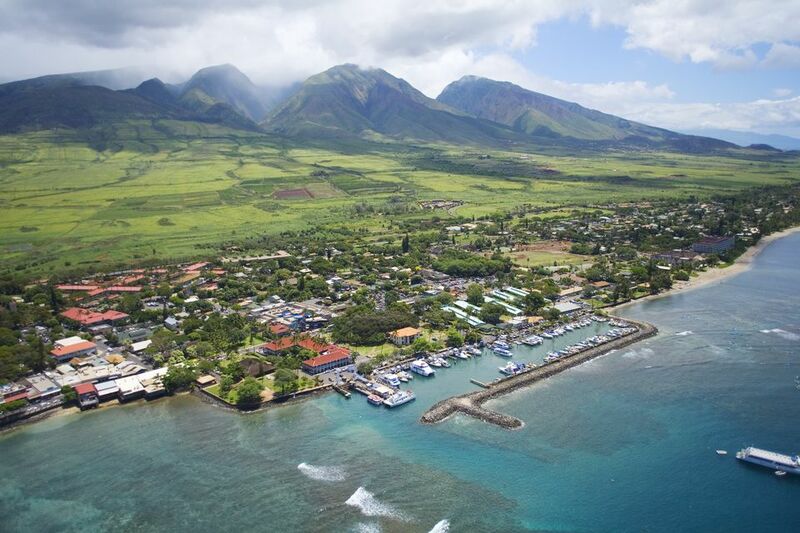 The days of drunken sailors and whaling are long since gone though, and today, Lahaina is a truly charming historical town that is absolutely essential to visit on any Maui vacation. Lahaina, which means, “Cruel Sun” in Hawaiian, rarely sees precipitation, making it the picturesque destination for adventure or relaxation. You can surf beyond the harbor’s breakwall, venture out for deep sea fishing, experience the majesty of whale watching, explore Hawaii’s reefs and sealife with snorkel tours and submarine adventures, or sail on a Catamaran Voyage – there are so many ways to experience the magic of Lahaina. Lahaina is also just as an exciting destination on shore as it is off, offering a broad variety of restaurants, shops, museums and entertainment. After a long day of enjoying your favorite ocean and coastline activities in Old Lahaina Town, there is no better place on Maui to watch a sunset and create timeless memories than at Kimo’s in the heart of 505 Front Street. Here’s a little Kimo’s insider tip: Keep your eyes on the water when dining at Kimo’s between the months of January and April. This is West Maui’s peak season for humpback whale sightings each year. If you think that you had a long journey over to Maui to celebrate life, always keep in mind that you didn’t have to swim! For more information on these majestic annual visitors please click here. When you find yourself cruising farther up West Maui, don’t forget to check out our three sister restaurants, Duke’s Beach House Maui, Leilani’s On the Beach and Hula Grill – Ka’anapali.